That's why I take the time to listen to you, learn your goals, and then create a plan that reflects the latest industry standards and academic research. The first step in effective crisis management is to understand the unique and specific threats and risks to your organisation. 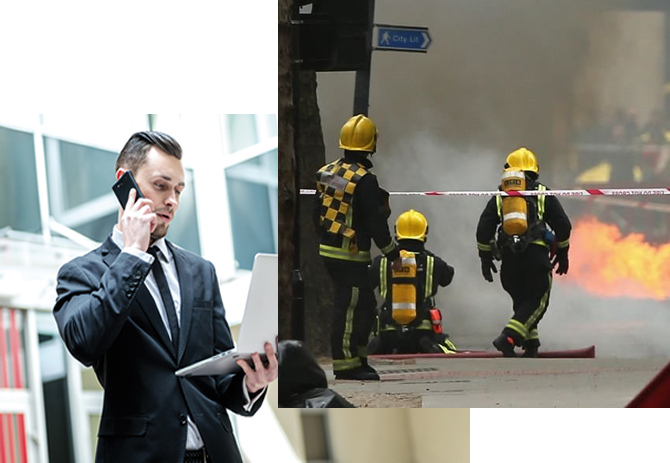 Business Continuity Planning ensures your company is safeguarded from failure, allowing operations to be rapidly recovered in a disaster. Cyber security is defined as the protection of systems, networks and data in cyberspace and is considered a critical issue for all businesses. My name is Darren Simpson and I'm a qualified, independant risk and cyber security consultant, experienced working for small and large organisations within both public and private sectors. My aim is to help companies address high risk situations from cyber security and business continuity, to governance and crisis management. By listening to my client's requirments, auditing their processes and examining the infrastructure, I tailor solutions to suit the company's needs. In today's information-based society, it should be recognised that a company relies on its data. In other words, without information and appropriate protection, the future of the organisation may be in jeopardy. Furthermore, as convenience is built into some systems, the result is reduced security and consequently increased risk. The cost of fixing such problems after a project has been implemented and underway is a lot more expensive than fixing it during the design phase. Whilst my availability is national, the majority of work is undertaken in London and southern England (Dorset, Wiltshire, Berkshire, Hampshire, West Sussex, East Sussex, Surrey and Buckinghamshire). This website is intended to provide an overview of the services covered - All trademarks and copyrights are the properties of their respective holders.